It is my pleasure to host here a guest post by Isaiyan Morrison, author of Deamhan. After a few years, she moved back to Minnesota where she started to pursue her dream to be an author. 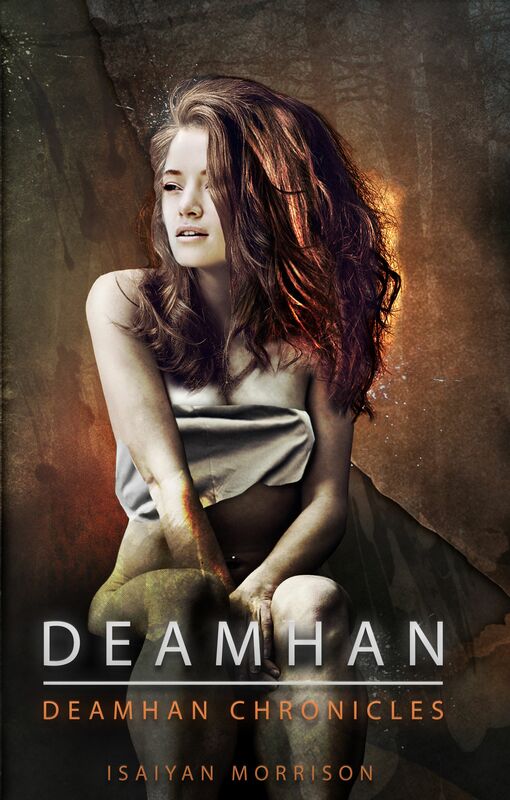 Her novel Deamhan, the first book in the Deamhan Chronicles, was accepted for publication by Rainstorm Press on August 12th 2013. She now resides in Texas with her two cats, a pit bull dog, and two guinea pigs. Thank you for having me today! I’m excited to share some information about my novel, Deamhan, what Deamhan are, and how I came to incorporate psychic vampires into my novel. First I want to make it clear that Deamhan are different from vampires although I like to refer to them as “cousins” to vampires. I realize that there are tons of books out there that deal with supernatural creatures – werewolves, vampires, etc. Well, I wanted my “vampires” to be different. I wanted to find out everything about vampires from the origins, superstitions, how they live, what they do. So I decided to do what everyone should do when they want to learn about a subject. What I found amazed me. I didn’t know that there are different types of vampires out there than just your average bloodsucking vampire. They range from demons to zombies, to humans sired into becoming creatures of the night. For example, the Betsileo in Madagascar have the Ramanga, a vampire who drinks blood and eats nail clippings of noble people. I liked the name so much that I decided to include it in the novel. I also learned about psychic vampires and that piqued my interest and it made me question why the majority of authors who write in this genre don’t write about them. You have Lamias (also spelled “Lahmians”). According to lore, Lamia was a queen (or the child of Poseidon) turned demon who devours children. Some vampires feed off human emotions. There are plenty of them with different names. I decided to go with Metusba who feed off the psychic aura of humans, which could contain emotions as well. I kept it simple because it can become complicated. Lugat originates from Albania. They feed on their victims just enough so that they don’t kill them. Depending on where you get your information, they are also shape shifters. I gathered as much information as I could and I had to choose which ones I thought fit into the story. I also had to make sure that while they are different from sanguine vampires, they possibly might still have the same weaknesses: sun, stakes, beheadings. I needed to consider how a human can be turned and how long it takes a human to turn. What did I want Deamhan to really be. Ramanga – Live off the psychic energy in human blood. They have retractable and sharp canine teeth. Lamia – Feed by draining the psychic energy from their victim’s mouths, sucking them into dry husks. Metusba – Feed from the psychic aura of their victims around them. They don’t have to kill their victims to live. Lugat – Feed on the psychic imprints of their victims and like the Metusba, they don’t need to kill their victims to live. Often, the Lugat Deamhan prefer to move freely in the human world and enjoy human company. Deamhan are mean and ruthless. They don’t cry about their existence. They kill to survive, if they have to, and the majority of the time they like it. Survival is their main goal and an important aspect of their nature. Researching and writing the novel took about 10 years (I did drag my feet for a few of those years) but I’m proud to say that I’ve finally accomplished what I wanted to do from the beginning. I’ve written a creative novel, different from any other vampire novel, with the focus on psychic vampires. I gave them the spotlight and now it’s time for them to shine. 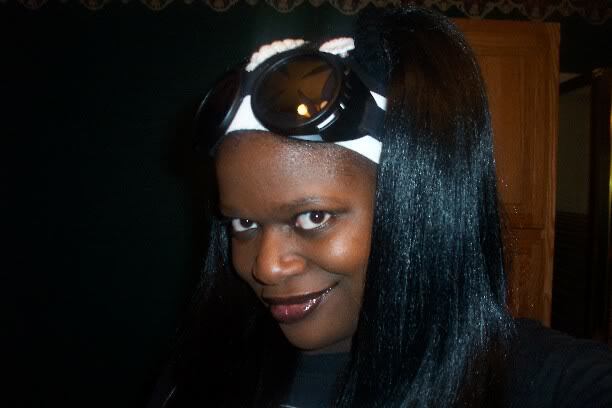 Veronica stared into the twin’s dark, menacing eyes. Her vision twisted in and out. The bathroom floor rippled as if water suddenly covered the floor. Veronica’s head swooned and fear dissipated. The drink flowed through her veins, intoxicating her. It was a high she hadn’t felt since she smoked weed for the first time in her teenage years. A sense of invincibility and relaxation overtook her. She tried envisioning a brick wall in preparation for the Deamhan twins to invade her thoughts, but the tingling sensation never came. Instead she drifted into the furthest part of her mind where she kept sacred memories of her mother carefully hidden from human and Deamhan alike. “I told you, sister.” The tall twin licked her lips. “She’s ripe.” The Deamhan twins knowingly locked eyes and giggled. With a handful of Veronica’s hair in her grasp, the taller twin pulled, yanking Veronica’s head violently to the side. She opened her mouth and her canines protruded from her pale gums. “Her scent is strong, Brandy. And her skin,” she said, sniffing Veronica’s neck, “is so soft.” She stuck out her tongue and licked Veronica’s neck from her ear to her collarbone. Veronica shivered from the trail of wet spittle left on her skin. Brandy stepped away from the door. “But, Branda, I heard she is protected.” Her mouth opened, exposing sharper and longer fangs than her sister’s. Protected? Veronica struggled to keep her eyes opened. Darkness toyed at her periphery, and she thought she might faint from lack of oxygen. “Sure.” Branda slowly released her grip. Veronica gasped, her lungs searing as they engulfed fresh air. A strong wind manifested, and Brandy instantly released her grip. Her head jerked to the bathroom door as it flew open on its own. Veronica’s legs crumbled. She fell to the floor gasping for air. She looked up in time to see a fuzzy image of the Deamhan twins running out of the bathroom with Deamhan speed and the door slamming shut behind them. Whatever scared them away had impeccable timing. Veronica leaned against the wall, coughing up phlegm. She rubbed her tender neck and lifted herself to her feet. Veronica shuffled over to the sink and turned on the water. The euphoric feeling from the drink had subsided. Her hands now trembled. She splashed warm water on her face. Her breathing relaxed. She examined the red and purple bruises on her neck in the mirror. She touched the wall to steady herself. The Sensual Appetite ravaged her body. The drink’s stimulating effects returned with a punch. Veronica hurried out of the bathroom and to the main room. The club walls swirled around her. White and gold streaks trailed behind the patrons dancing on the dance floor. Afraid to walk any farther, she rested against a pillar and dropped her head into her hands. She knew what it meant. If a human or even a Deamhan was said to be protected it meant that someone claimed them as their own. They were off limits, untouchable. To achieve this status, the one being protected was usually a minion or claimed their loyalty to a very strong and old Deamhan. But she wasn’t anyone’s to claim and she wasn’t any Deamhan’s minion. Her curiosity grew. Who protected her and what was she being protected from? Veronica lifted her head from her sweaty palms. Flashing strobe lights semi-blinded her; however, she found her vision acquired more depth. She could see into the darkness and make out shapes, people, Deamhan and vampires she hadn’t noticed before. Noise from the crowd grew quieter, more distant. The drink was altering her senses! Just as the thought occurred, her vision became crystal clear. Immaculate. She now could signal the Deamhan out in the crowd. They looked taller, darker. Their fluid movements, their hardened skin. When provoked by one of their own or a vampire, the Ramanga threatened with their fangs. White light pulsated from the Lamia’s mouth and the Lugat’s hands, and there was a weird glow around the body of the Metusba. They fed indiscriminately in the crowds with Deamhan speed, only taking enough from their human victims to not notice. Blood dripped from Ramanga lips. Lamia embraced their victims in intimate kisses as they sucked the life from their mouths. Veronica watched in horror as a white streak of light flowed from the mouth of a pretty young blonde into the mouth of a muscled Lamia. Victims dropped to the floor, their energies weakened by the Metusba. Desperate Lugat on the dance floor swiped their hands on railings, disposed cups and napkins—anything to get a psychic taste of their victims. And that was the Deamhan. Vampires were just as repulsing. This entry was posted in Guest Posts, Vampires and tagged deamhan, female vampire, isaiyan morrison, psychic vampire, research. Bookmark the permalink.